The MyHeritage Mobile App allows you to share family moments, discover and edit your family history and keep in touch with the people you love, anywhere and anytime. We’ve just released a major update to the mobile app featuring real-time discovery notifications and a List View for viewing your family tree. We’ve added real-time Smart Matches to bring you discoveries as you enter information in your family tree on the mobile app. 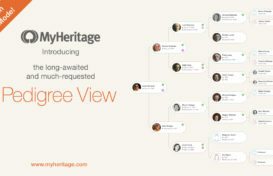 Every time you update the profile of an individual in your family tree, we automatically look for matches with the 34 million existing family trees on MyHeritage. You’ll then get in-app notifications. You can now view your family tree in a List View both on the mobile app and while viewing your tree in an internet browser on your mobile phone. Complete with improved search functionality and sorting options, this feature is great for finding individuals in your tree quickly and easily, especially when you are on the go. To get to the List View for your family, click “Tree” on the main page of the mobile app. Click on the List View icon in the top right-hand corner of your family tree. Search for someone from the family tree to bring up their name in the list. Start typing in a person’s name, and you will immediately receive suggestions. You can then select a specific individual. Click on an individual in the list to open his/her full profile. The Discoveries icon to the right of a name indicates the number of pending matches for that person. Click on it to view that person’s matches. There are several actions you can choose for an individual by swiping left on their name (iOS) or by pressing down on their name for a few seconds (Android). Search records for the individual, add a photo for him/her or view them in the family tree. To change the sorting of the list, click on the funnel icon in the top right-hand corner. Choose to sort by relationship, first name or last name and click “Apply” to save your changes. Return to the tree view at any time by clicking on the tree icon in the top right-hand corner. If you don’t yet have the app, we invite you to download it for free from Apple’s App Store and Google Play. How do you see DNA matches on the Mobil app? 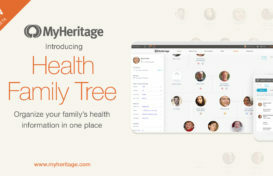 There’s a special standalone app for MyHeritage DNA where you can see your matches and ethnicity reports. Also, if you have the regular MyHeritage app for mobile, note that it has been updated today to include DNA (please update it first from App Store or Google Play). I love the updates to the mobile app. It would be nice if I could also sort the list view by other parameters, like date of birth. Thanks for the suggestion. We’ll keep you updated!